Mr. Doherty is the Chairman and Co-Chief Executive Officer of Doherty Enterprises. Ed started Doherty Enterprises in 1985 when he acquired 19 Roy Rogers Restaurants from Marriott Corporation, thus becoming Roy Rogers largest franchisee. Ed is a graduate of Chaminade High School on Long Island and St. John’s University in Jamaica, Queens, where he earned his B.S. in Marketing in 1968. Originally employed by Mobil Oil Corporation, first as a Territory Sales Representative in Brooklyn, NY and subsequently as a Real Estate Manager, Ed also attended St. John’s at night and earned his MBA in 1972. In 1973, Ed joined Burger King Corp. as a Real Estate Manager. Two years later, Marriott Corp. recruited Ed to be their Real Estate Manager in the tri-state area for Marriott’s various restaurant concepts. Ed worked for Marriott for 10 years, rising through the executive ranks and holding managerial positions in real estate, marketing, franchising and operations management. Ed remained with Marriott until he founded Doherty Enterprises. From 1985 to 1990, Doherty Enterprises grew from the original 19 Roy Rogers Restaurants to 28 Roy Rogers and 6 TJ Cinnamons, a bakery concept specializing in cinnamon and pecan rolls, coffee and other specialty products. In 1991, a Development Agreement was signed with Applebee’s International to develop the brand in Northern and Central New Jersey, opening the first two Applebee’s in 1993. Subsequently in 1998, Ed purchased six existing Applebee’s restaurants on Long Island, New York, and the rights to further develop Long Island. Currently the company has 62 Applebee’s open in New Jersey and Long Island with plans to open one additional Applebee’s over the next 12 months. Between 1992 and 1995, six Roy Rogers were converted to Wendy’s while the remaining Roy Rogers and TJ Cinnamons were sold to various competitors. Doherty Enterprises developed three additional Wendy’s prior to selling the Wendy’s Division in 2001 so the company could focus on developing other concepts with greater growth opportunities. The company diversified into the Mexican casual dining category when it opened its first Chevys Fresh Mex restaurant in Clifton, NJ in May 1999. Another opened in September 2005 in Linden, NJ. In 2001, Ed entered into a Development Agreement with Panera, LLC that gave him the rights to develop Panera Bread throughout Nassau and Suffolk counties on Long Island, New York. Subsequently, Doherty acquired the rights to Brooklyn, Queens and Staten Island. Currently the company operates 35 Panera Bread Bakery Cafes, will open four additional cafes over the next 12 months, and have committed to open a total of 45 bakery cafes. In March 2007, Doherty Enterprises opened its first original concept, The Shannon Rose Irish Pub, an authentic pub that was created to bring a little “Dublin” to New Jersey. Located in Clifton, NJ, the Pub has seating for approximately 300 people in its four bars and five pub-style dining rooms. The company expanded the Shannon Rose concept by opening its second Pub in Woodbridge, New Jersey in June of 2009 and a third one in Ramsey, NJ in January of 2012. In April 2012, Doherty Enterprises opened its second original concept, Spuntino Wine Bar & Italian Tapas. Located in Clifton, NJ, Spuntino offers Italian tapas—a variety of small dishes and hand-stretched pizzas that can be mixed and matched and paired with an impressive selection of over 42 wines by the glass, another 150 wines by the bottle, as well as Italian beers and specialty cocktails. A second Spuntino opened in 2014 in Westbury, NY. Through an affiliated company, Doherty acquired the rights to Quaker Steak & Lube for NJ and Long Island, NY in 2011. Currently Doherty has one Quaker Steak & Lube open in Brick, NJ with two additional restaurants slated to open in 2014. In 2012, Doherty Enterprises entered into a Development Agreement to open twenty three Noodles & Company restaurants in Nassau and Suffolk counties on Long Island, NY. Noodles & Company is a fast-casual restaurant concept with more than 400 locations throughout the United States and features a collection of pasta dishes from around the world. Doherty’s first Noodles opened in Westbury, NY in 2013. In July of 2013, Doherty Enterprises acquired thirty eight Applebee’s in Florida and Georgia and received exclusive rights to build ten to fifteen additional restaurants in Florida within the next seven years. The company is currently investing $14 million remodeling and revitalizing these Applebee’s and will complete the project in 2015. Doherty acquired exclusive development rights to build fifteen IHOP restaurants in eleven counties in Northern New Jersey, Staten Island and Suffolk County, NY in 2013. It’s first IHOP will open in 2014 in Howell, NJ. Doherty Enterprises, Inc. currently operates more than 145 restaurants, pubs and bakery cafes, with projected sales exceeding $470,000,000 in 2014. Ed and his wife, Joan, are committed to giving back to the communities where they do business and to causes that they are committed to. Each year, Doherty Enterprises and its people participate in more than 1500 community activities, donate more than 2000 hours of volunteer service, and donate or help raise over $2 million in financial contributions to local charities and causes. In 2007 Ed and Joan formed WOW A Friend Foundation whose mission is to provide emergency funds to Doherty Enterprises’ associates and their immediate families when burdened by an event outside their control and who are in need of financial assistance. The people at Doherty voluntarily donate money weekly and Ed and Joan match their contributions. Since 2007, WOW A Friend Foundation has raised over $1.3 million and has assisted over 525 associates and their families with approximately $750,000 in financial assistance. Personally Ed and Joan created The Doherty Center for Entrepreneurial Leadership in The Love School of Business at Elon University in North Carolina. 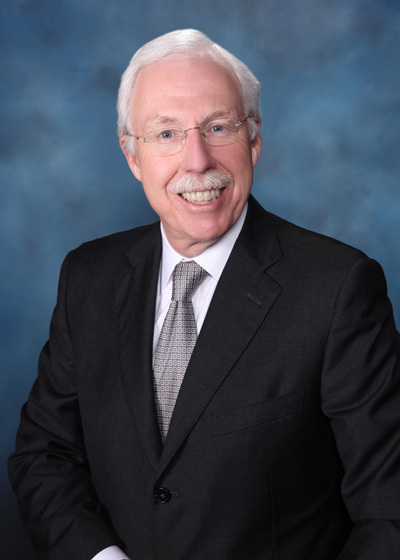 Ed currently serves on the Elon Board of Trustees and is Chairman of their Investment Committee. In addition, both Joan and Ed support various philanthropic causes through volunteer work and financial assistance. Ed and Joan currently reside in Northern New Jersey. They have three children – Tim, Shannon and Kerry – all of whom are employed in executive positions with the company.